The Oot n’ Oots make kids music that is, to quote Jerry Garcia, not for kids only. 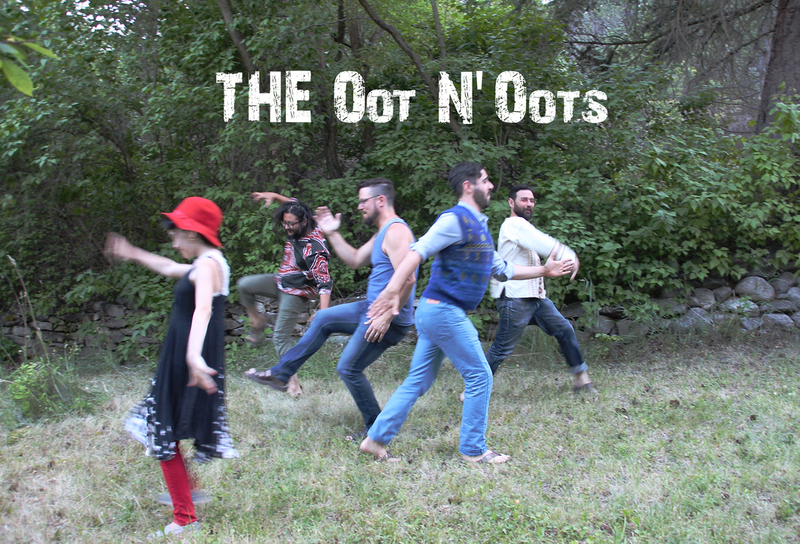 Drawing on diverse influences from the history of rock n’ roll and popular music, The Oot n’ Oots are a band with chops, soul, and swagger. Their original songs are wildly imaginative, brimming with humour and inspiration. In performance the band casts a spell on their audience, inspiring freedom, lightheartedness, and laughter. Expect to see children jumping and running or lying on their backs spontaneously doing yoga, teenagers grooving and giggling, and adults with knowing grins bobbing their heads. The Oot n’ Oots are truly entertainers for the whole family, engendering a feeling of community, joy, and understanding through their free-spirited art. This is a family band in all senses of the term, fronted by 10-year-old vocalist Ruth Cipes with her dad Ezra (vocals, guitar) and uncles Ari (vocals, guitar), Gabe (vocals, bass), and Matthew (vocals, drums). Ruth’s voice has been described as having “the smoky sounds of a jazz chanteuse” and “the earnestness of a 1960s folk singer.” Ruth trades lead vocal duties with Ari, who has a melodic tenor and cache of silly voices and characters. After years working in Vancouver, Canada as session musicians and touring with acts such as Tegan & Sara, The English Beat, and Bif Naked, the Cipes brothers returned to take an active role in their family’s organic vineyard in Kelowna, BC. The music never stopped flowing. Now, after starting families of their own, the songs they write have evolved into something the whole family will love in live performance, in the minivan, or on the home stereo. The Oot n’ Oots have been nominated for Children’s Artist of the Year at the 2017 Western Canadian Music Awards, and for a 2017 Okanagan Arts Award in the Music Category. The band has performed at the Breakout West Festival, Fat Cat Children’s Festival, Lake Country Children’s Festival, and for West Kelowna’s World Music Festival. Their debut album “Songs and Tales from the Great Blue Whale” was released December 2016. They are currently in the studio recording its follow up.